Mt.Tabor 1906 Craftsman. 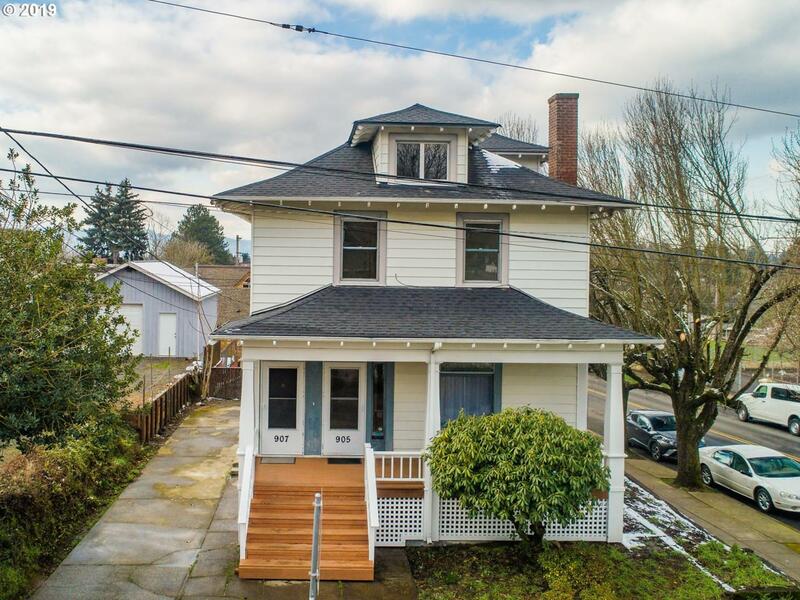 Close to Hawthorne (4 blocks) and Belmont restaurants, pubs, coffee shops, and grocery stores. 1 bedroom and 1 bathroom on the main level unit. 2 bedrooms and 1 bathroom on the upstairs unit. Two units each with their own electric panel and water heater. Live in one unit, rent the other unit. Remove the wall and convert it back to a single family home. Unfinished walk-in basement with access to outside.